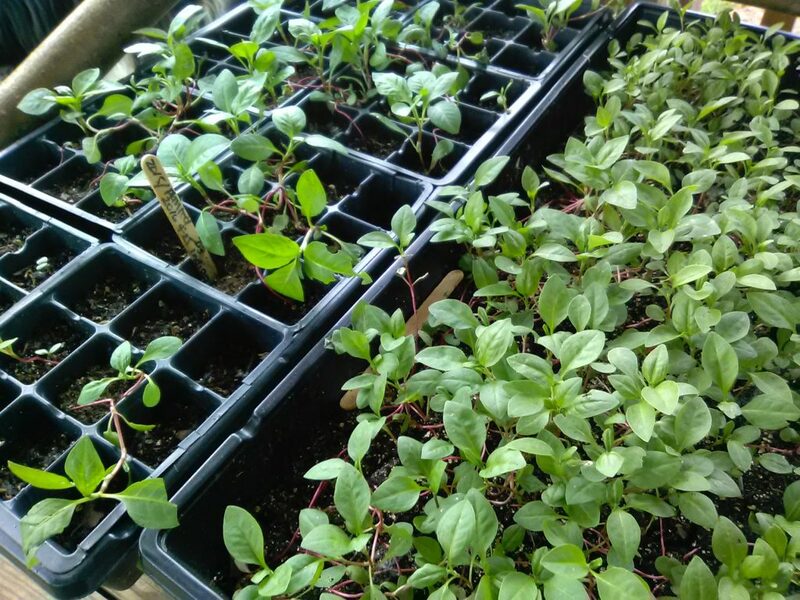 Last year’s crop of polygonum tinctoria — Japanese Indigo — produced more than leaves for dyeing: My plants also produced more viable seed than I hoped for in my short northern growing season. So in Season 2, I’m growing plants from seed I saved last year. This is only possible because my friend Julie started the seeds for me. I knew this spring would be challenging, and starting plants indoors was not in the cards. So I asked Julie for help. I never did a germination test on the seeds I saved and decided to hedge my bets by ordering one small package if seeds “just in case.” Julie started the reliable seeds in cello packs in late April. The homegrown seeds she started in two flats with a layer of gravel scattered then topped with soil. It came as a complete surprise when the germination rate on the homegrown seed was around 90 percent. Julie used a heat mat under the trays, which was much more effective than the system I used last year (on top of the aquarium cover). The part of a tray not on the heat mat germinated much later. 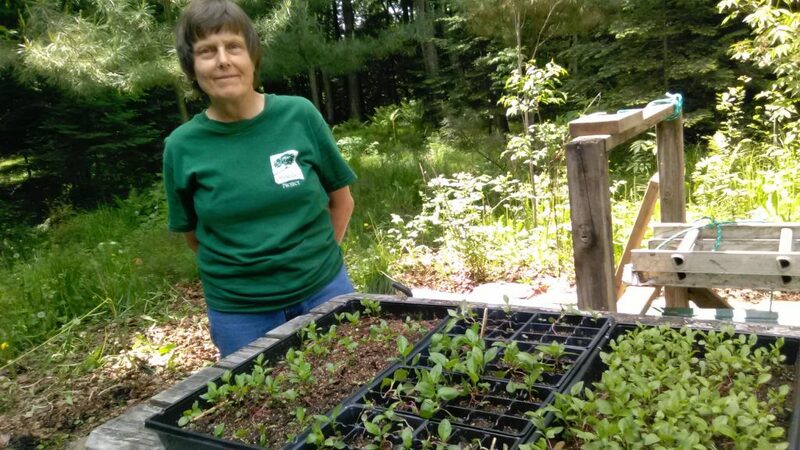 Julie also felt, and I agree, that the seedlings sown in flats are more robust than those sown in cello-packs, possibly because they help support each other. Julie is going to grow out the plants in the second, less-populated tray from homegrown seed, and we will dye together with fresh leaves later this summer. I brought the cello packs and the other flat home to plant. Compared to the handful of spindly seedlings I raised last year, these are magnificent. Next time, I’ll write about planting the seedlings for container gardening. In the meantime, I just have to say what a gift it is to have a friend who will start seeds for you. By the way, this is the friend who gave me my first worm composting bin one year for Christmas, and even wrapped a couple containers of their preferred food scraps to help the worms settle into their new home. And last year, she gave me and Bill a most special gift for our 25th wedding anniversary — 25 heirloom garden plants started from seed.